This article is about the non-nuclear icebreaker. For the nuclear-powered icebreaker of the same name, see Taymyr (1987 icebreaker). For other icebreakers, see Taymyr (icebreaker). Taymyr and her sister ship Vaygach were built for the purpose of thoroughly exploring the uncharted areas of the Northern Sea Route. 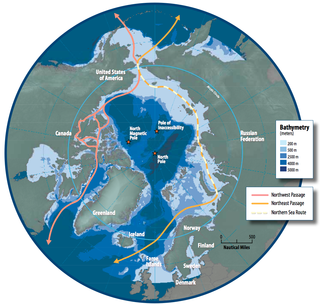 This venture became known as the Arctic Ocean Hydrographic Expedition. The first of a series of surveys began in the autumn of 1910, when Taymyr and Vaygach left Vladivostok. They entered the Chukchi Sea with scientists on board and began their exploration. For the next five years, these icebreakers went on sounding and carrying on vital surveys during the thaw. Before every winter, when ice conditions became too bad, they returned to Vladivostok and waited for the spring. In 1911 the scientists and crew aboard Vaygach and Taymyr made the first Russian landing on Wrangel Island. In 1914, Boris Vilkitsky was both the captain of Taymyr and the leader of the Arctic Ocean Hydrographic Expedition. 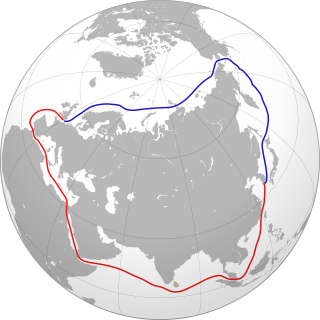 The purpose of the icebreakers Taymyr and Vaygach was to force the whole Northern Passage in order to reach Archangelsk. Severe weather and ice conditions, however, didn't allow them to cross the Kara Sea and they were forced to winter at Bukhta Dika, close to the Firnley Islands. Thus the sister icebreakers were able to complete the passage only in 1915. They were warmly welcomed in Archangelsk upon their arrival. The first scientific drifting ice station in the world, North Pole-1 was established on 21 May 1937 some 20 kilometres (12 mi) from the North Pole by the expedition into the high latitudes Sever-1, led by Otto Schmidt. NP-1 operated for 9 months, during which the ice floe passed 2,850 kilometres (1,770 mi). On 19 February 1938, Soviet icebreaker Taimyr, along with Murman took off four polar explorers from the station, who immediately became famous in the USSR and were awarded titles Hero of the Soviet Union. A nuclear icebreaker of the Soviet Navy, as well as a class of nuclear-powered river icebreakers, was named Taymyr in 1988. Barr, William (1974). "Otto Sverdrup to the Rescue of the Russian Imperial Navy". Arctic. 27 (1). —— (December 1983). "The last Journey of Peter Tessem and Paul Knutsen". Arctic. 36 (4). Archived from the original on 14 August 2014. Niven, Jennifer (2001). The Ice Master, The Doomed 1913 Voyage of the Karluk. New York: Hyperion. ISBN 9780786884469. Kuksin, I.Ye. (October 1991). "The Arctic Ocean hydrographic expedition 1910-1915". Polar Geography (abstract). 15 (4): 299–309. doi:10.1080/10889379109377467. (Subscription required (help)). Barr, William. "A Tsarist attempt at opening the northern sea route: The arctic ocean hydrographic expedition, 1910-1915" (pdf). Polarforschung. Bremerhaven: Alfred Wegener Institute for Polar and Marine Research & German Society of Polar Research. 45 (1): 51–64. Lenin was a Russian icebreaker originally built in England for the Russian Empire. Launched in 1916, before going into service for Russia, the ship first served in the Royal Navy during the Allied intervention in the Russian Civil War. It was eventually acquired by the Soviet Union and served through World War II, eventually being finally scrapped in 1977. Zhokhov Island is an island in the East Siberian Sea, situated 128 km north east of Novaya Sibir Island, the easternmost of the New Siberian Islands. Zhokhov Island belongs to the De Long group. It has an area of 77 km2 (30 sq mi). The highest point of the island is 123 m (404 ft). This island belongs to the Sakha (Yakutia) Republic administrative division of Russia. A river icebreaker is an icebreaker specially designed to operate in shallow waters such as rivers and estuaries, and often able to pass through canals and under bridges. As published by the American Society of Civil Engineers almost a century ago, "On some rivers, particularly where melting first takes place on the upper river, as on the Oder and Weichsel in Germany, the formation of ice jams is a frequent cause of floods." River icebreakers can operate in any navigable waterway to prevent such ice jams.